Slide across, to view all our success stories. Daniel joined the Hive College in 2015, a shy, very nervous individual who knew he wanted to work, but did not have any idea what it was he wanted to do. Daniel was placed with a number of employers in a range of sectors so that we could find out what his strengths and skills were. His self- confidence grew with each new placement and he worked hard to communicate with unfamiliar people. Daniel was an able student but he did need a placement that was nurturing and safe and therefore a placement was sourced within a launderette in a care home. After only six weeks he was offered a Supported Internship. Through the support of the internship Daniel was travel trained and was quickly able to go to work totally independently. He was taken on into full time employment in May 2017Daniel joined the Hive College in 2015, a shy, very nervous individual who knew he wanted to work, but did not have any idea what it was he wanted to do. Daniel was an able student but he did need a placement that was nurturing and safe and therefore a placement was sourced within a launderette in a care home. Aaron demonstrated that he had a good knowledge of computers and therefore a placement was found to follow this interest in a multi international company. 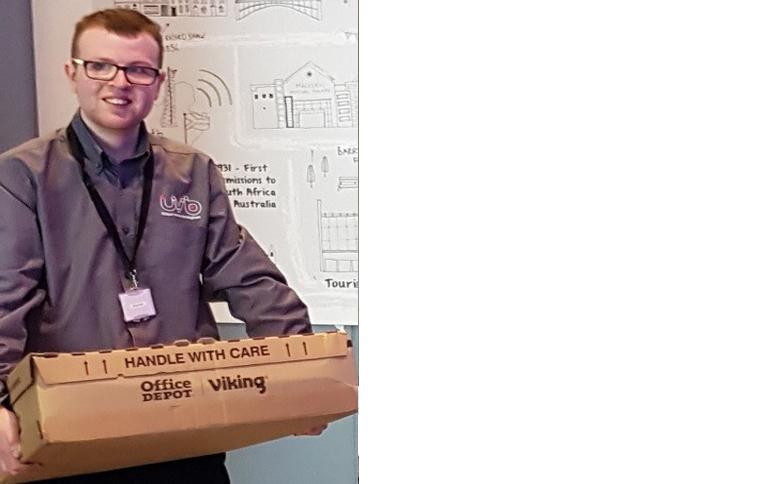 He quickly progressed onto a supported internship where he became one of the team and after a years training he was ready to move into employment. 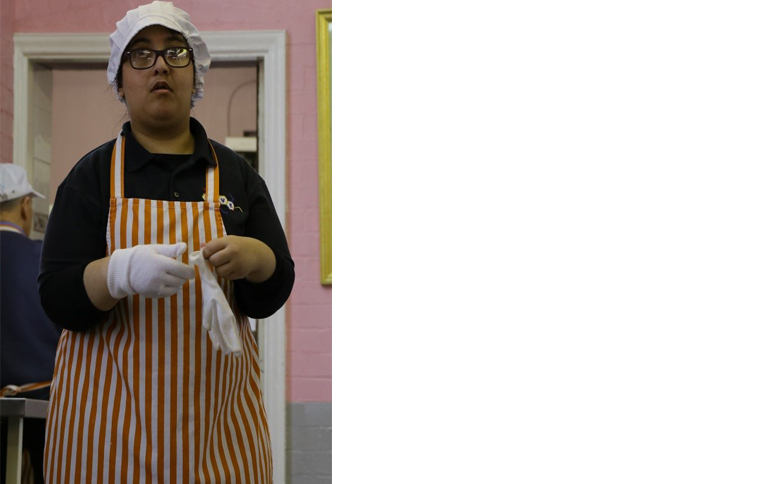 Somi has been at The College for three years and has completed a number of work placements gaining self – confidence along the way. She is now working as a volunteer where she helps to set up tables prepare teas and coffees and communicates with the visitors to the centre. David has been a student at The Hive College for three years. It was apparent that he was a hard worker and enjoyed working as a team. 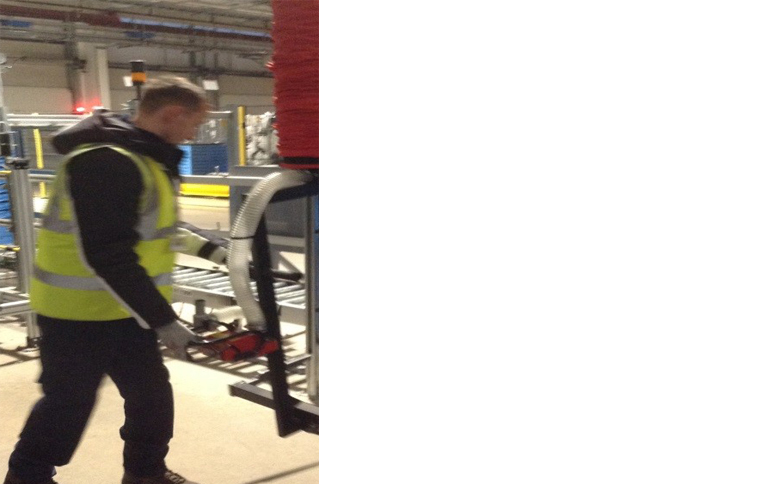 David completed a number of experiences of work but he was at his happiest working within a warehouse. He was offered a supported internship during which he was trained in COSHH and manual handling and was offered a full time position after a few months. Annie was at The Hive College for three years and completed many work placements as she was not sure what vocation she wished to follow. She then commenced work within an administrative department and worked hard to learn many new skills. Annie has now progressed into paid employment. 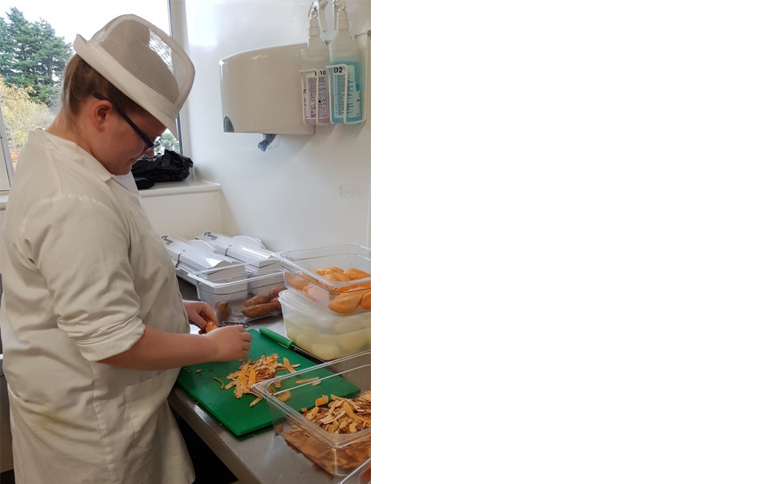 Emma completed two years at The Hive College and after several placements she decided that she wanted to work within the catering industry so was placed within a busy kitchen. 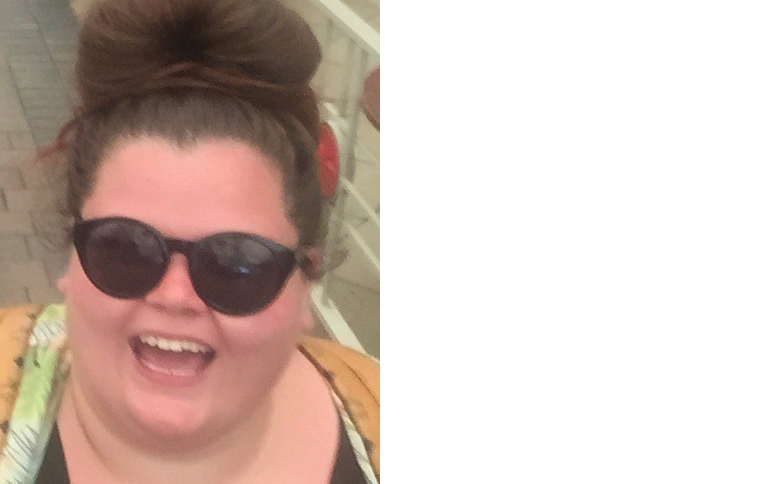 She completed a supported internship and after twelve months she was ready to progress into paid employment. Sophie attended The Hive College for two years. 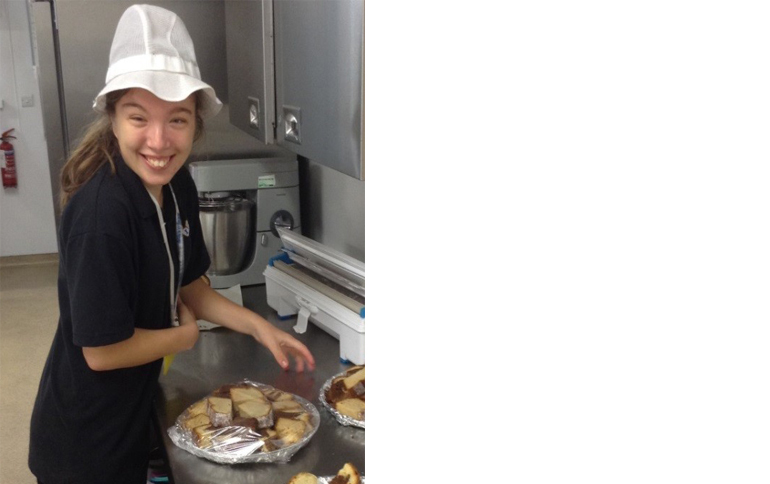 She showed a caring disposition and wanted to work with food so a placement was found with a kitchen at a care home. She quickly progressed onto a supported internship where she worked hard to learn the roles needed to be a kitchen assistant. She is now employed. Tom has been at The Hive College for two years and was happy to try a range of placements. 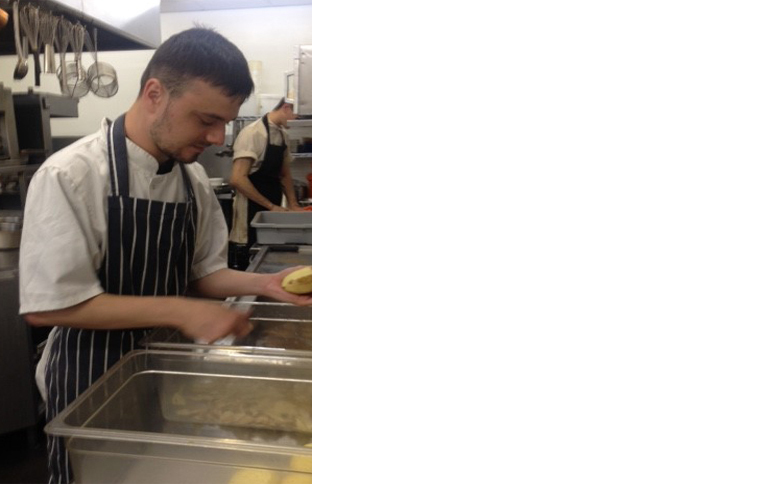 Tom enjoyed working within the catering sector and quickly progressed onto a supported internship. 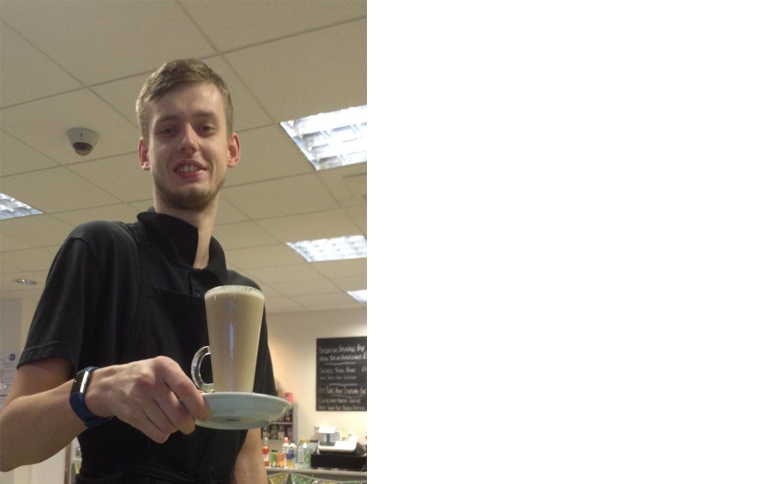 He continued to work hard and learn new skills including barista training and has now moved into employment. Tony joined The Hive College in 2014. Tony is very interested in trains and buses and expressed a wish to find work in these areas. However his first work placement was at Homebase where he was offered a part time job which did on his day off and still does so to this day. This was not the job that he really wanted so Tony took part in other work placements until he finally settled on working for National Express. They were so impressed with Tony’s work ethic and decided to offer him a Supported Internship. Tony now works for National Express full time and also has a bus named after him. Matt joined The Hive College in 2014. He struggled talking to unfamiliar people and did not like the thought of working independently as he lacked confidence in his own abilities. It took Matt the full three years at college to progress into paid employment but his time was spent wisely and he took full advantage of the support that he received both at college and at work. Matt completed a wide range of placements and finally settled at a large retail store. 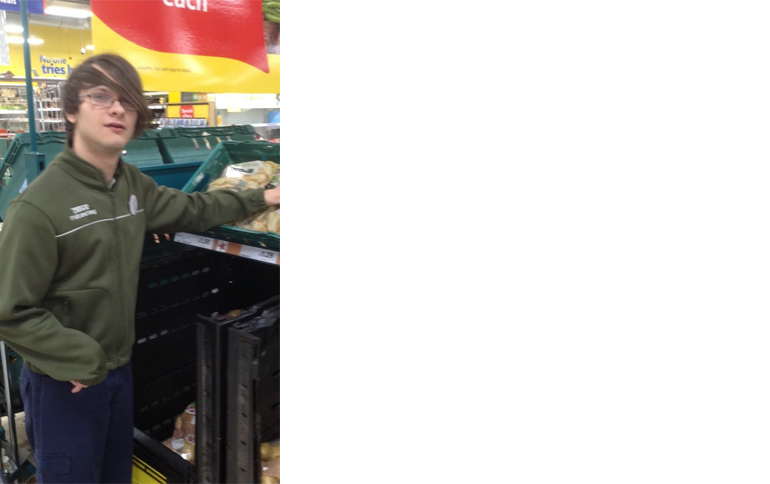 Matt was offered a supported internship where he continued to develop his skills working on the fresh produce department. He started to talk to customers and now does this without any hesitation and is a valued member of the team. Managers commented that Matt was never off work due to illness and was seen to raise the morale of the other workforce. Matt is now in full time, paid employment. Keiva enrolled at The Hive in September 2014. She was interested in a career in Child Care and started a weekly placement at a local Nursery. She quickly settled into her work placement setting and was enjoying her role. 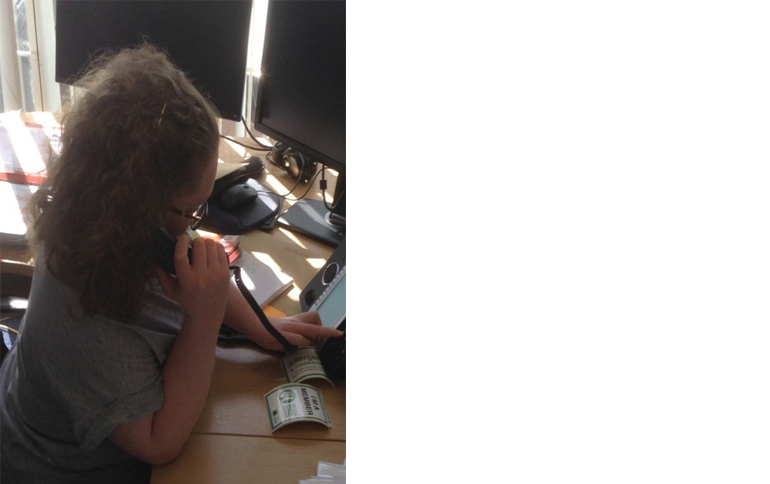 She continued with her study programme at The Hive and her work placement one day per week, however, it was becoming increasingly apparent that she wanted to spend more time in the workplace. In March 2015 Keiva was offered an apprenticeship and left The Hive to pursue her career. She has completed an NVQ Level 2 in Early Years and is now employed at the Nursery full time. Keelan was at The Hive College for three years where he worked on building up his self- confidence. He tried many placements and finally settled within a facilities company. 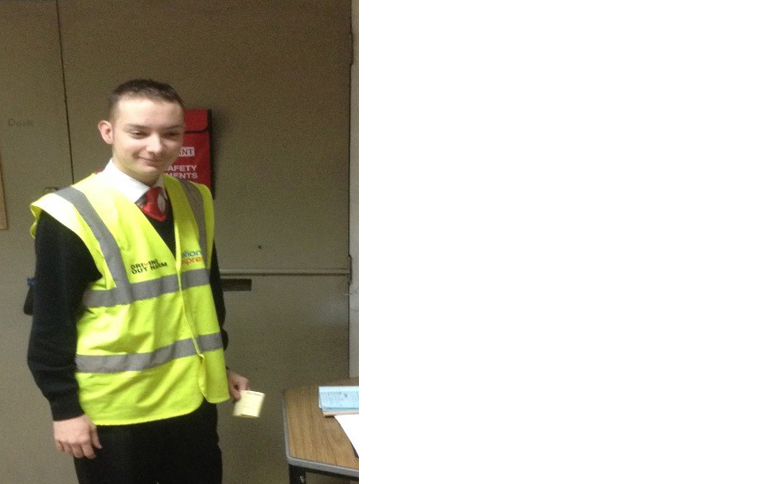 He progressed onto a supported internship where he was trained in manual handling and COSHH and has now progressed into paid employment. Brendan has only been at The Hive for two years but he knew that he wanted to work within a theatre setting. He commenced a supported internship and after 12 months of hard work he has now been offered a paid role in the lighting and technical and hospitality team. Mark enrolled at The Hive in September 2015. He had already achieved a Level 2 qualification in catering, but had not been successful in securing employment in the catering industry. 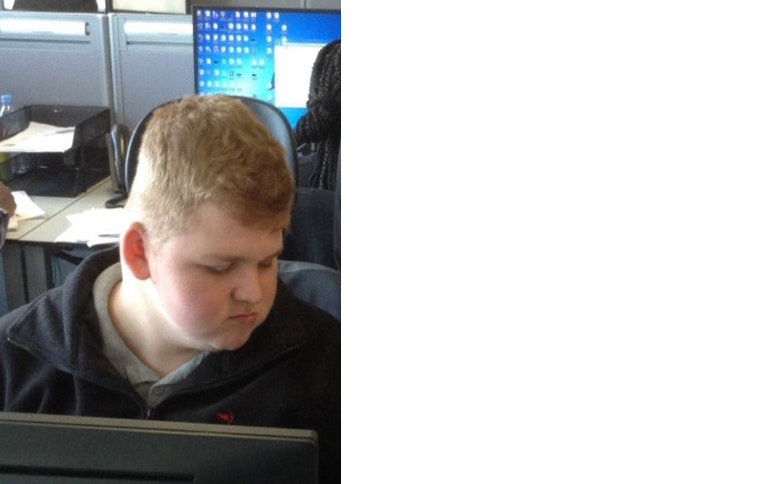 Mark has quite high anxiety issues due to his autism and found it very difficult to communicate with unfamiliar people in unfamiliar places and needed support from The Hive to achieve his vocational aspirations. Mark’s first work placement was at OPUS restaurant in Birmingham where the employers were very pleased with Mark’s attitude and commitment to catering, however, after a while it became clear that Mark would find it difficult to work under the pressure of a very busy, high class restaurant. 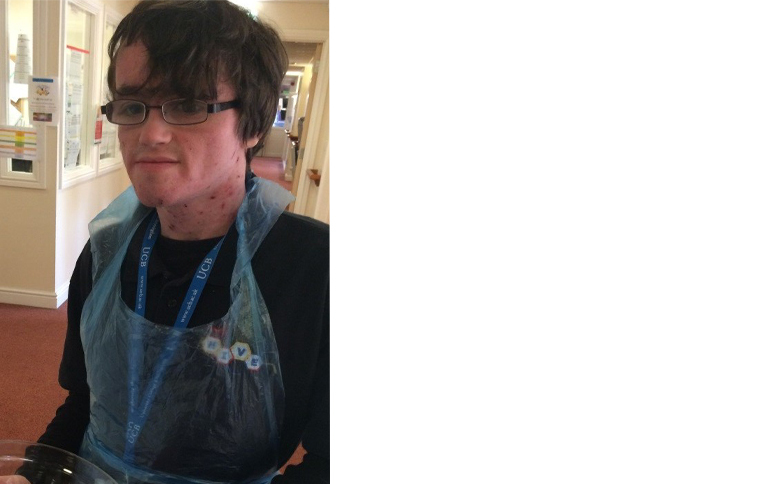 Mark commenced his second placement working alongside a Chef at Wyndley Grange Care Home and very soon Mark was offered a level 3 Apprenticeship at the Care Home, which he commenced in July 2016. ‘Mark is doing absolutely fantastic, we can’t thank you and all the staff enough for everything you have done for him, as without it he wouldn’t be where he is today’.